An iconic part of the City of Melbourne. These images were taken just after they had finished the restoration. Below are images of the Jarrah handrail and bends being manufactured. 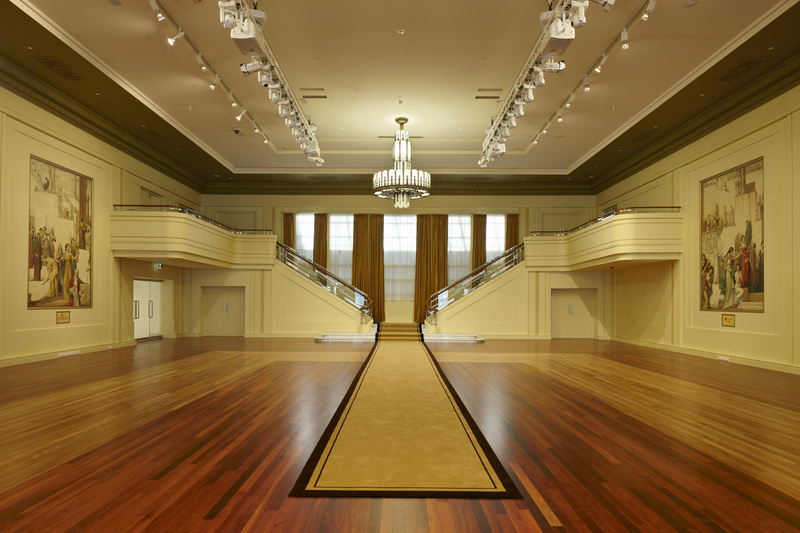 With 2011 marking Myer Melbourne's 100th year it seemed fitting for them to relaunch the fully restored heritage-listed ballroom, Mural Hall. 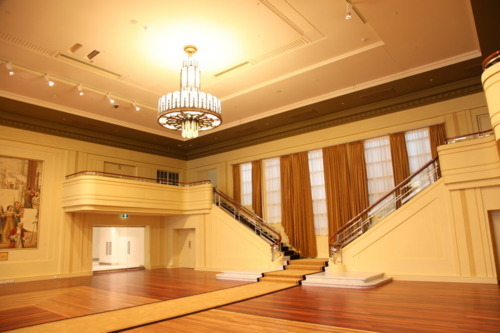 This magnificent art deco, chandelier-lit ballroom has been returned to its original grandeur. 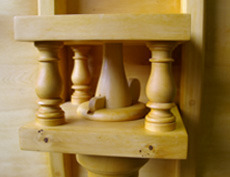 Ryan Woodworks were in charge of re-creating a Jarrah handrail profile for the balconies in Mural Hall. A template of how the handrails were laid out, along with detailed plans of the handrail sections, curves and bends were provided for Ryan Woodworks to work from. The handrail sections consisted of a combination of straight sections and curves that were fitted together by Ryan Woodworks, transported to Myer Melbourne and installed by the contractors on site. A great deal of planning went into the manufacture and assembly of the handrail sections.Of course it was a rush job and we only had 5 days to make them. We finished on time and everyone was happy.